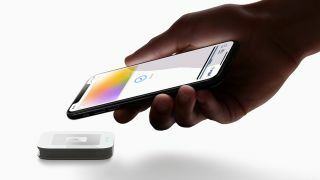 Arguably the most radical unveiling at last night’s Apple event wasn’t its Oprah-endorsed new Apple TV Plus offering or its indie-friendly Apple Arcade gaming platform, but Apple Card, its new attempt at reinventing the credit card. It boasts no annual, late, international or over-the-limit fees, no pin numbers, and a seemingly meaningful cashback system. Syncing with iPhone’s Wallet app to organise your purchases into trends, it also uses Apple Maps to pinpoint just where you’ve managed to drunkenly squander next month’s rent. Set to be launched first in the US before it’s introduced across Europe later in the year, as with all things Apple, its status symbol aesthetics are also all in check, with the physical version of the card made from titanium and stripped of long strip numbers and CCV code, guaranteeing it will make Patrick Bateman types murderously envious with its minimalism. It comes with a Daily Cash rewards scheme which is set to offer a pretty generous 2% cashback on any purchase made with the card when using Apple Pay, and 3% on any purchase made with Apple itself, including the App Store and Apple Music, with cash paid out daily (non-Apple Pay purchases get a lower rate of cashback of 1%). There’s also real time support on hand 24/7 for your account via text message. On the downside, Apple Card’s quoted interest rate is fairly high for when it comes to paying off the tab that you’ll inevitably build up, with its APR hovering around the 13.24% to 24.24% mark – hefty compared to some mainstream credit cards. Backed by Goldman Sachs and MasterCard, it’s not the first time the company has dipped its toes into the world of personal finance, (Apple already offers a more traditional credit card via Barclaycard ), but Apple Card certainly appears to be offering a new, modern approach, placing itself among a new breed of 21st century digital banking start-ups like Revolut, Starling and Monzo that are also aiming to shake up the way we handle our money and take on traditional high street banks. Growing quickly in popularity, particularly among younger customers, accounts are managed solely through mobile apps and websites. With no physical branches to worry about, they make for leaner operations that can offer current accounts with novel features like fee-free spending abroad and the ability to temporarily block a debit card in an instant. So where does Apple fit in within the new wave of money services? Here below we cover what the main players are currently offering in this brave new world of banking in the UK along with some of the pros and cons for each service. Despite some recent negative coverage in the news, the rise of Revolut from a basic app to a genuine “challenger bank” shows no signs of abating with it now boasting a user base of over 3 million across Europe. That's since having launched just four years ago. Key to its popularity has been a feature allowing customers to keep multiple currencies on one card simultaneously and convert between them seamlessly on their phones. This coupled with free spending and withdrawals abroad has made it inevitably popular with those who do a lot of travelling and those working away from home shores. Sign up and you’ll get an account number and sort code to use for normal current account functionality such as receiving a salary and making regular payments. Revolut uses the interbank exchange rate which it says offers better foreign currency rates than most of its modern banking rivals, while its apps for both iOS and Android are snappy and easy to use, with useful budgeting tools, instant spending notifications, and the ability to instantly lock and unlock cards. The service offers peer-to-peer loans, various types of insurance, and the ability to buy cryptocurrencies such as Bitcoin. There’s also a decent range of security features for accounts including the ability to block payments that are made out of the range of your phone’s GPS location. On the downside, unlike European customers, UK local Revolut accounts don’t currently have access to direct debits, limiting the service’s usefulness as a replacement for day-to-day current accounts, but there is the promise of this being rectified soon. Deposits made with the service aren’t currently covered by the Financial Services Compensation Scheme, although Revolut is again hoping to offer this soon once its application for a full banking license is approved. It costs £5 to set up your first debit card, with a £6 charge for replacement cards. Accessing some banking features requires becoming a “Premium” member, which costs £6.99 a month (you’re limited to withdrawing £200 a month in cash with a regular account for free – after that there’s a 2pc charge for example). Launched in 2015 and offering similar traditional banking services to Revolut, Starling boasts a layer of security as it holds a full banking licence, with accounts covered up to 85,000 by FSCS protection. Offering a full current account that comes with a Mastercard debit card, Starling pays out a small, but welcome amount of interest on balances (0.5pc on the first £2,000 and then 0.2pc on anything up to £85,000). For those of you who like to do things the old school way, a recent tie up with the Post Office allows you to deposit and withdraw cash through its 11,500 branches. The Starling app’s functionality is very similar to Revolut, with real-time notifications, the ability to split bills, and instant freeze and unlocks on cards. Unauthorised overdraft charges are capped at a competitive £2 a month, but there’s currently no dedicated savings account offering. Like Starling, Monzo is a fully licensed bank, so should it go bust, your money is covered by the FSCS. Having started life in 2015 as a pre-paid credit card, it now offers a service that could fully replace most regular current accounts, including the ability to set up direct debits and standing orders, split bills and pay people instantly, with overdraft options also offered. Arguably Monzo's key feature is its app’s spending tracker, which provides a forensic breakdown of how you’re spending your hard-earned pennies, with notifications every time the card is used and the ability to set spending goals,. The app gives an admonishing slap on the wrist with reminders when you’re overdoing it. While there’s fee-free spending abroad, there is a cash withdrawal limit of £200 every 30 days when withdrawing outside of the UK before a 3pc charge is added. There can be a short waiting time of a couple of days to join, while the 50p a day overdraft charges could soon rack up for more care-free customers.